Blackheads are unsightly blemishes that commonly have an impact on everyone’s skin during teenage years. But what exactly are blackheads, how do they form, and how can they be treated? Continue reading below to learn more about blackheads and what you can do to clear up your skin today! A blackhead forms when a hair follicle, or pore, in the skin becomes clogged with oil and keratin. Clinically known as “comedo”, a blackhead can actually form on the skin with or without the presence of acne. Blackhead blemishes generally appear on the face, neck, chest, back and shoulders. Luckily for those battling blackheads, there are many different treatment options available. The best way to combat blackheads is to simply wash your face and body on a regular basis using mild soap or cleansers without oil. These products are preferred over regular soap because they will cause less skin irritation. All of the aforementioned companies have their own scrubs and cleansers designed to clear up existing blackheads and prevent outbreaks in the future. 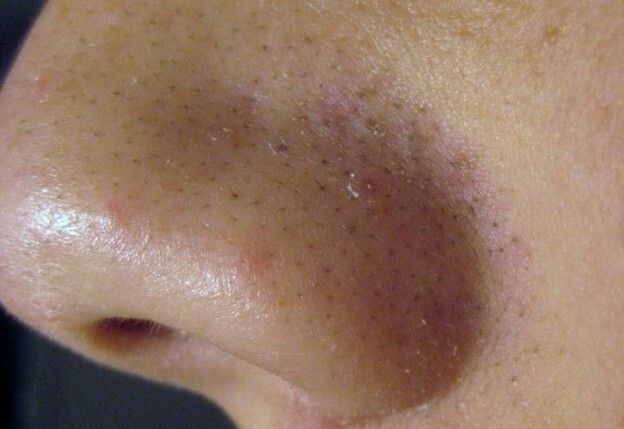 Each person’s skin is unique, so what works to remove blackheads for one may not work at all for another. In addition to the cleansers, a variety of blackhead removal tools and extractors are available. These tools are used to forcefully remove the blackhead from the skin. While they will certainly remove the blackheads, these tools can also do damage to skin. Often times, blackhead removers are used in conjunction with soft soaps. While OTC products are generally safe to use, it’s always best to consult a physician or dermatologist before beginning any treatment for blackheads.